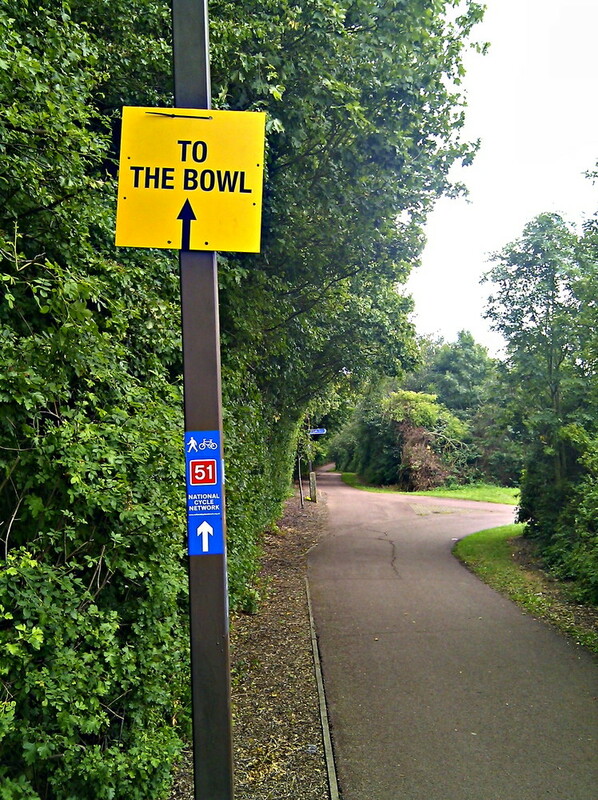 The redway from MK Central station to the bowl has large friendly yellow signs on every lamp post today. However these dont work in reverse – so whats going to happen after a few drinks on the way back to the station after the concert? This entry was posted in Uncategorized and tagged photoday. Bookmark the permalink.